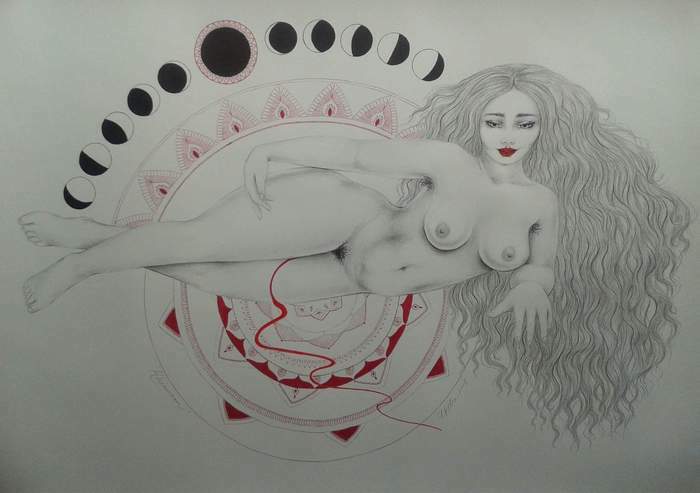 Through my current Goddess artworks, I like to raise awareness of the stigma and suppression that currently surrounds menstruation. I aim to do this by creating artwork that portrays empowered women displaying their menstruation. 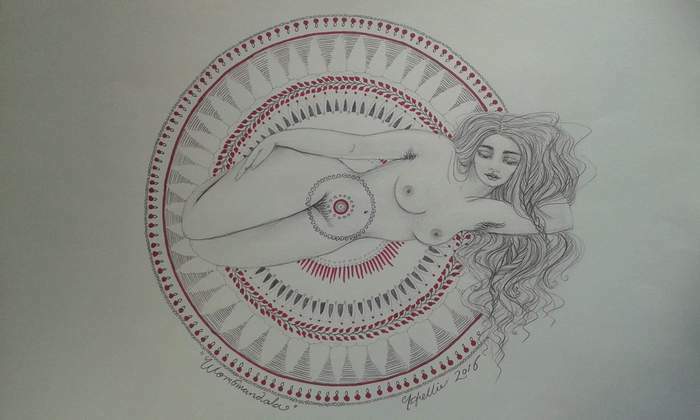 I want to encourage women to be able to deeply honour the cycles of their bodies and inherent womb wisdom. I want to help raise the state of the womb and menstruation back to its rightful place of reverence and honour in society. Perhaps for some, my images may be confronting. However, my intent is not to shock or provoke. 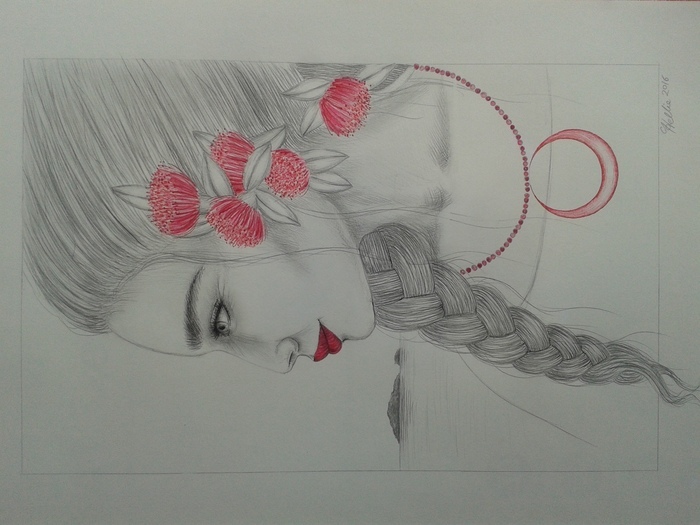 My desire only is to show what I personally consider to be the inherent beauty, power and sacredness of menstruation. I wholeheartedly support women honouring their menstruation as special time, to reclaim the power and place of menstruation in society and our own lives. A dream lives in me (as well as many other women and men!) that if more women consciously embrace their menstruation and honour their cyclical natures, a society may be formed anew, from a more balanced fabric that honours the cyclical: Mother Nature within and without.